There are several points in Van Gogh’s life we can turn to better understand him. One of the key periods of artistic development he went through was his time in The Yellow House. His desire for an artist retreat and studio in the Arles highlighted his need to be surrounded by his work and the creativity of others, but in a way that was not suffocating like in Paris or other major cities. Using his letters, we are taking a look at how Van Gogh’s time in The Yellow House affected his art and influenced his life. I don’t see the whole future black, but I do see it bristling with difficulties and sometimes I ask myself if they won’t be too much for me. But this is mostly in moments of physical weakness, and last week I had such a fierce toothache that much against my will I had to waste time. Well, today I’ve taken the right wing of this complex, which contains 4 rooms, pr rather two with closet. It is painted yellow outside, whitewashed inside, in full sunlight. I have taken it for fr. a month. After a tumultuous time in Paris, Vincent felt the need to escape form the busy city life. The city life was hectic but Vincent was also uncomfortable with the sheer amount of artists around him. He sought solitude from this suffocating environment, so that he might better engage with his own creative development. He took up refuge in Arles, eventually taking up residence in what would come to be known as The Yellow House. He envisaged the space as a retreat and studio for artists where they could share a creative space without the pressure of Parisian life. The house and his ideas for it soothed him and we see his optimism in his letters. The future is no longer dark but he recognises that his journey will remain a test of his character. It is clear that he saw the potential good that the studio could do for both him and others. The rural landscape and the closeness to nature was cleansing for Vincent’s soul and he wanted to bring that feeling to others. Shortly after moving in to The Yellow House, Van Gogh sent a letter to his brother about his work on the studio and the subjects of his work. He also makes mention of who he intends to bring in on the project. A clear focus for Van Gogh in this period was Japanese art. He found a lot of inspiration in Japanese works that he hung up all over The Yellow House. 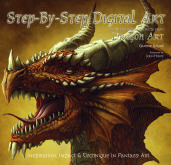 This was not just n their process and final product but also the tone and style of the work he saw. He found that the manner in which they presented the world had a level of clarity that western art was lacking. It was bold, never dull and had a focus on our interaction with nature, as opposed to a feeling of conquering nature. Van Gogh would often work this influence directly into his work; in some cases due the style, like that of Almond Blossom, and elsewhere literally having these works in the background of portraits or still life, like in the case of Self Portrait with Bandaged ear. It was several months before Van Gogh would formally invite Gauguin to be an accomplice on his mission to create a haven for artist to escape the busy city life. It i unclear whether he wanted or needed accompaniment, but his request had followed several meandering suggestions. Gauguin would indeed did go to The Yellow House, but less as a permanent resident and more as a long-term guest. Unfortunately, he did not seem to fully engage with Van Gogh’s more grand idea. This may have been because of Gauguin’s own drives for more exotic locations in less mechanised cultures and societies. The pair had a difficult relationship, which came to a head when Van Gogh threatened Gauguin with a razor blade. It was here that we see Van Gogh cutting off part of his ear in a fit of rage. This extract from before this final straw took place illustrates the brooding tension between the two. There was an uncomfortable air and it seemed unlikely the partnership would last. I think myself that Gauguin was a little out of sorts with the good town of Arles, the little yellow house we work, and especially with me. As a matter of fact there are bound to be for him as for me further grave difficulties to overcome here.But these difficulties are rather within ourselves than outside. Altogether I think that he will either definitely go, or else definitely stay. After Gauguin had left, and Vincent had spent some time in the hospital for his ear, he came back to a note telling him that The Yellow House was being passed on. While his ear was healing well, his heart was hurting. His greatest work over the past year had not been any specific painting, but The Yellow House itself. They have just told me that during my absence the owner of my house here made an arrangement with a fellow who has a tobacco shop to turn me out and give this tobacconist the house. 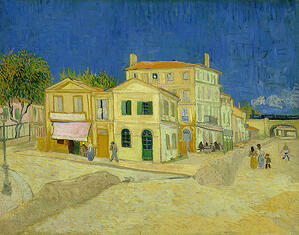 The Yellow House represented another interesting period in Van Gogh's life. It was a time where he was proud of the work he was creating and really felt he was getting much closer to his artistic ideals. He was surrounded by nature but there was also lots of people too. This allowed him to capture the beauty of the natural world while still engaging with the emotional depth that portraits and civilisation could offer. For the most part he was happy and it seems that that was a rare emotion for him to experience for long periods of time. He felt that his mission to create this artistic retreat was good a necessary one, and its clear that his failure to do this affected him. 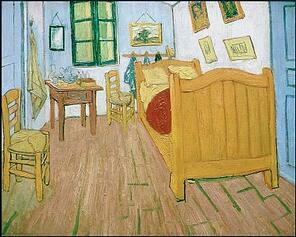 Within several months Van Gogh would find himself in Saint Remy, the asylum that he took refuge in. There is no way to know what may have happened if The Yellow house project had turned out differently. 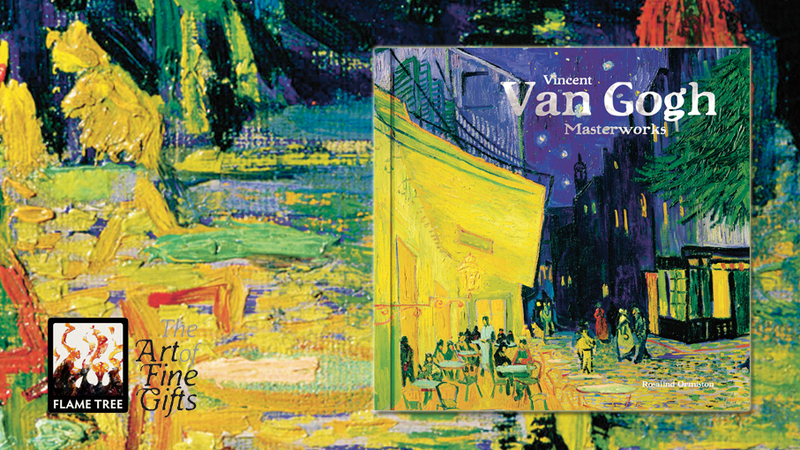 Check out Vincent Van Gogh from our Masterworks series here! 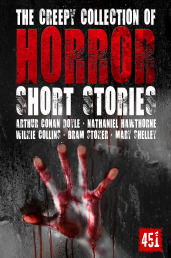 A gorgeous new edition with the cover printed on silver. Vincent van Gogh is considered one of the world's greatest painters, his work having had a huge and far-reaching influence on 20th-century art as well as remaining visually and emotionally powerful to this day. We all know of Van Gogh's troubled genius, but now through his letters to his brother Theo, as discussed in this beautifully illustrated and fascinating giftbook, you will discover the true depth of the artist's thoughts, beliefs, ambitions and his struggle with his mental illness. Containing translations of some of the most revealing letters and insightful commentary, alongside photographs of the letters themselves and his best-loved artworks, this is a real treat.